Asking why customer loyalty programs are important for businesses is like asking why you should grab an umbrella before heading outside in a storm, because the answer to both questions is so simple. Implementing a customer loyalty program is a proven way to increase business and make more sales. Your customers will love knowing that they can get big discounts when shopping from you and that they can build up their points to get great prizes. 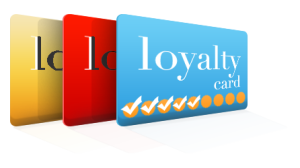 Look over some of the top reasons why your business needs a loyalty program. The number one reason why customers go online and write a review is because of a poor customer service experience. The number of people who write bad reviews far outweighs the number who write good reviews after a positive experience. In the business world, your reputation matters more than almost anything else. Launching a new loyalty program will get customers talking and lead to increased attention to your company online, which will likely improve your reputation too. Jed Williams and John Swanciger of Entrepreneur found that increasing profits is a key reason why customer loyalty programs are important for businesses. The writers found that these programs can help both smaller and larger businesses. Starbucks saw its profits rise by 26% after implementing its My Starbucks Rewards, and Best Buy saw its overall sales rise by more than 4% after changing its reward program. The more rewards that you offer, the more customers will want to shop your store. You might introduce a program that lets them build up points that they can redeem for discounts on merchandise or a program that rewards them with exclusive sales in your store. Starting a reward or loyalty program is the best way to build brand loyalty. If you look through your wallet, you’ll find that you probably spend more time at stores and restaurants that give you a free rewards card. Kroger has a reward card that lets shoppers build points every time they shop in the grocery store, and they can trade in those points for discounts on gas. Speedway gas stations let customers exchange points for fuel discounts, merchandise cards and gift cards. Your customers will want to spend more to get more. As the owner of a small company, you might wonder why customer loyalty programs are important for businesses of a smaller size. These programs can actually help you compete with those larger chains. The more options you offer, the more customers will want to shop from your store. You might offer sales that are only open to those with a loyalty card, run special promotions for members and reward customers with points for each purchase they make. Customers will want to keep shopping and continue building up points in the hopes of getting one of the top rewards. When you offer great rewards, customers will pick you over those larger businesses. No matter what type of business you own and run, implementing a loyalty program can help you increase profits, build a stronger reputation and develop brand loyalty. These great benefits are just a few reasons why customer loyalty programs are important for businesses of all types and sizes.